I spend a lot of time here talking about my own books, of course, which is part of the reason I started this blog - as a platform upon which to expand on the material covered in those books and to connect with readers. 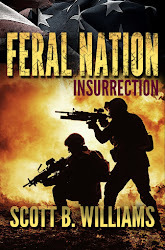 When I first conceived the idea of my first Bug Out book in 2009, I knew that interest was growing in all aspects of survival topics and I was surprised to see how many new survival books were appearing on bookstore shelves. Now, two and half years later, this trend has not only continued but has gained tremendous momentum as the survival and prepping community's appetite for this kind of information seems insatiable. This interest is no longer limited to a small segment of the population, however, but has really started to become mainstream in the last year or so, and for obvious reasons. Some of the newer books coming out on the topic are aimed squarely at those mainstream readers who may just now be beginning to realize they need to take a few steps in the direction of disaster and emergency prepardness, as well as address concerns caused by the new economic reality. 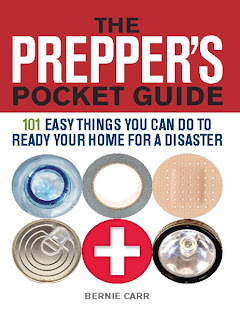 My own publisher, Ulysses Press of Berkeley, California, has recently released just such a book: The Prepper's Pocket Guide, by Bernie Carr, and it has been a bestseller from the start. 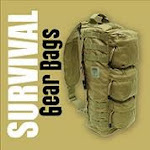 I’ve been following the author’s Apartment Prepper blog since she began posting and have enjoyed reading her thoughts on the topic of prepardness from the perspective of an urban apartment dweller rather than the typical wilderness survival guru or retreat survivalist living in an isolated bunker in the middle of nowhere. She relates to many readers who may not be interested in that kind of hard-core survival by describing her own journey that began with a growing feeling of insecurity in an uncertain world and how she started taking the steps to address her concerns for herself and her family. 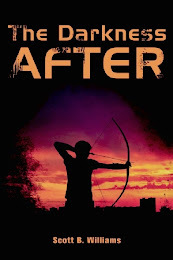 I am pleased to see that journey lead to this excellent book that I think will benefit her blog readers and many, many more people who may not have given this topic serious thought because of misconceptions they may have about preppers. Prepping Will Turn Me Into One of Those Crackpots Living in a Cabin in the Woods, Dressed in Military Gear and Threatening People with Explosives. I really like the format of this book because it is just what the title says it is: a pocket guide packed with useful information that spans just about every aspect of survival and disaster planning. Each of the 101 tips is solidly researched and clearly presented in a way that is easy to read and easy to understand. While no pocket guide can go into great depth in any one subject area, the value of this book is that it introduces readers to ideas and concepts they may never have considered, opening the door to further research and reading on the topics they want to know more about. Some of the major sections include: Financial Readiness, Water Needs, Food Supplies and Personal Health and Safety. As the author of this blog and two books on the subject of bugging out, I could especially appreciate Chapter Eight: When You Have to Get Out. The tips in this section introduce those new to prepping to the concept of bugging out and manage to distill the essential elements of it in a few short pages while still covering the important points like what to pack in a bug-out bag, transportation, safety, exit routes, communication and navigation. Whether you plan to bug-in, bug-out or just want to learn more about what this “prepping” movement is all about, I highly recommend ThePrepper’s Pocket Guide as a handy reference and a permanent addition to your library. 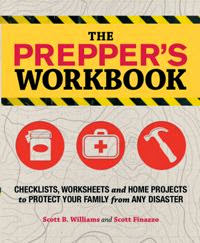 This little book also makes a great gift for $12.95, if like all of us, you have friends and family that cannot understand what this "prepping" stuff is all about and are looking for the perfect book to help them out. Alright then - I'll keep an eye out for it. Maybe buy along with your latest book on Bug Out Transportation. I love the Prepper's Pocket Guide. In fact, I've made a handful of videos about the exercises and steps she recommends in her book, for the viewers of my daily video survival blog (a couple in particular that I did were the "hollowed out book safe" and the "cooking with rice and beans" chapter). Apartment Prepper is really living it, and it comes through in the book. I like how she comes from the apartment dweller's perspective, because as you mention, more and more people are taking an interest in survival all the time, and yet not everybody has a retreat or fallback. I used to live in a tiny apartment in downtown San Diego, and dealt with the exact same constraints. Thanks for the great post Scott! I need to get a review copy of your book. Scott this is a great book with a lot of info packed into a small cover. I have this book and really like it format. It is easy to find the subject you want. Great review. You should have received a review copy of Bug Out Vehicles. They have been mailed out. Let me know if you do not get it this week.